Get the maximum production from JUMBO STEEL PET Band making Machine. 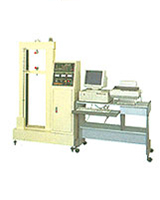 This machine produces band widths of 9.5-19MM. Production speed of up to 120 meters per minute for each line. The JS 237APR is simple to run and requires minimal training. If increasing your PET band production is your goal, come to JUMBO STEEL. JUMBO STEEL's JS 237APR ,JS 2310APR2 has all the very latest technology for increased productivity in PET strapping band production. 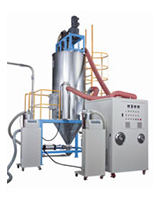 This newly designed machine provides faster production and superior product. 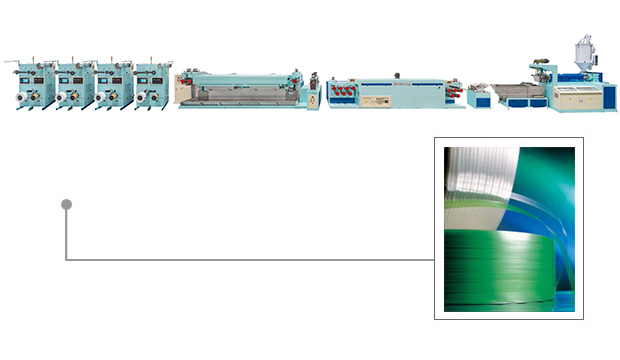 Extruding output range: 40 - 100 kgs/hr or 80 - 220 kgs/hr. High precision band width +/- 0.5mm. Entire machine employs direct drive for low noise running. Gears are hardened and precision ground for quiet running performance. SACMI screw is nitrogen treated, precision ground, and stress relieved. SACMI barrel is nitrogen treated, precision ground, and stress relieved. #304 stainless steel cooling water tank. Separate adjustment for winding torque and running speed ensures uniformity of band. Stretching unit is all-gear driven with oil bath lubrication for stability, quiet running and long service life. 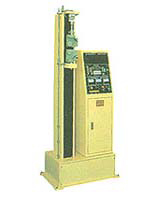 The winding unit is driven by a DC torque motor, featuring torque adjustment. The buzzer sounds when the preset length of band is reached. Changing the gears conveniently changes the winding width. Choice of 200 or 400mm core bobbin. 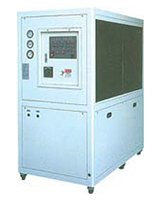 The machine uses electric heating to quickly achieve high temperature. The four stretching rollers are individually driven, and heated for efficient stretching. Stretching speed is controlled by a frequency inverter for maximum stability. vacuum heat treated for superior hardness and maximum wear resistance. Embossing depth is pneumatically adjusted with indication reader for accurate reading. on the main control panel. ensuring the stability of bands and superior tensile strength. Hot air circulation provides for a more efficient heating solution. Equipped with a water cooling tank for upgrading cooling and stiffening performance. Outstanding dehumidifying performance ensures constant band quality. to achieve the utmost performance from production materials. flow marks, poor transparency, etc., which are all caused by incompletely dry resin.